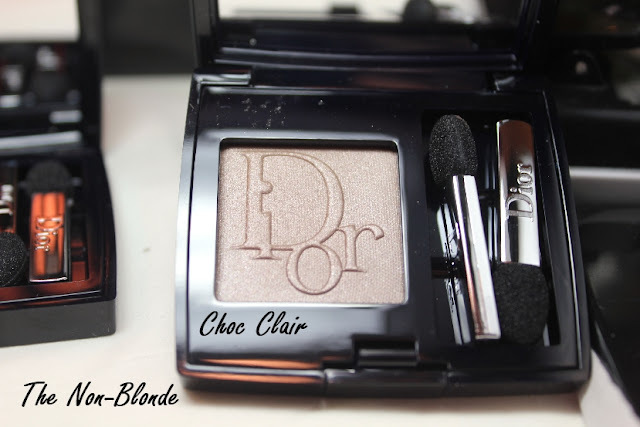 Here are the three shimmery colors I picked from Dior Diorshow Mono eye shadow range (the mattes are here): Velvet 783, Choc Clair 564, and Camouflage 477. 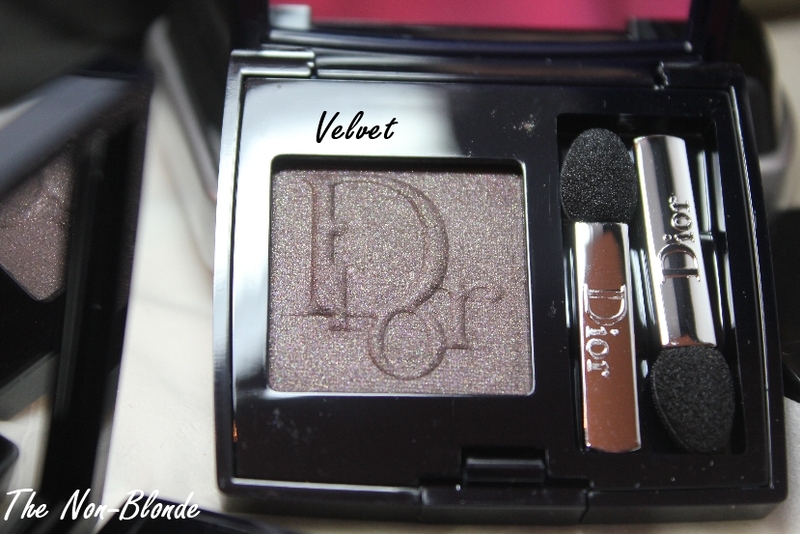 Velvet looked almost glittery in the pan, but once I touched it and swatched I realized that it's just as smooth as the other eye shadows, though it's seems to be made of several pigments blended together. It isn't quite taupe, more of a dark brown with grayed purple shimmer. It's a contour and lining color, and quite a stunning one at that. Definitely unique. 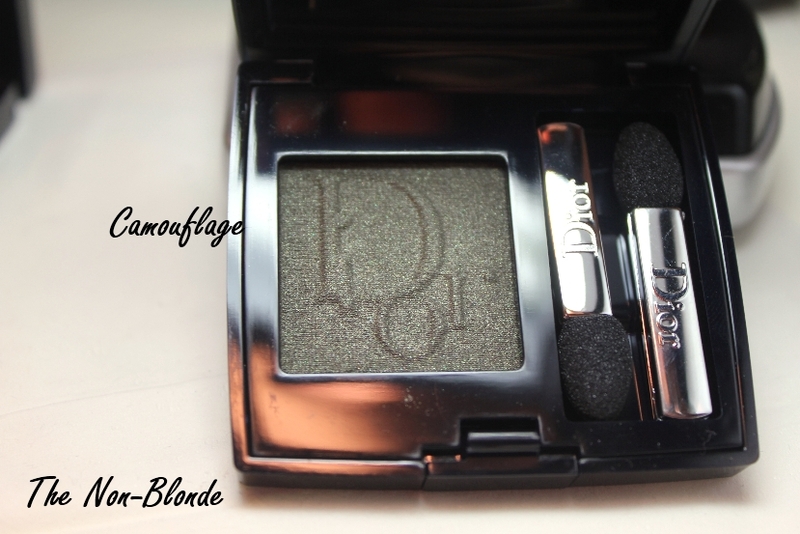 Camouflage is exactly as you'd expect: a green olive in a satin texture with subtle goldish shimmer. I can't say it's very unique, but it's pretty and very wearable as a neutral alternative. 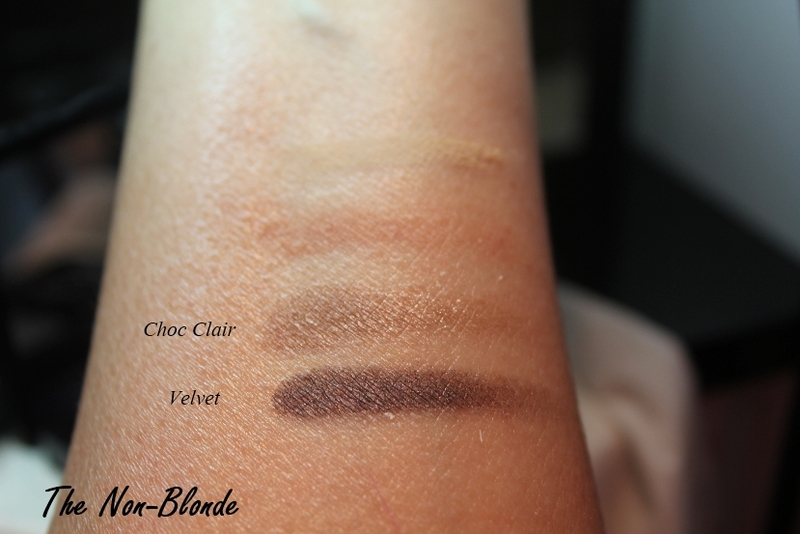 Choc Clair is will probably be a best seller in this collection. 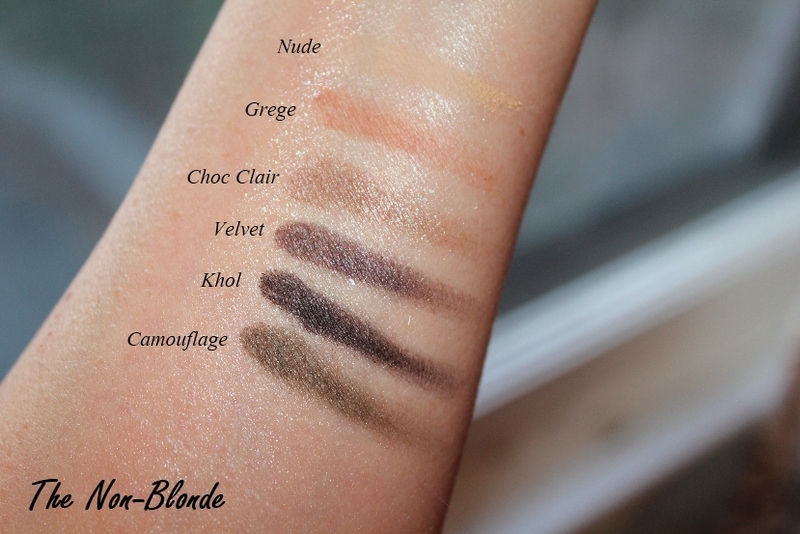 The high shimmer texture is still incredibly smooth and the color itself is quite complex. 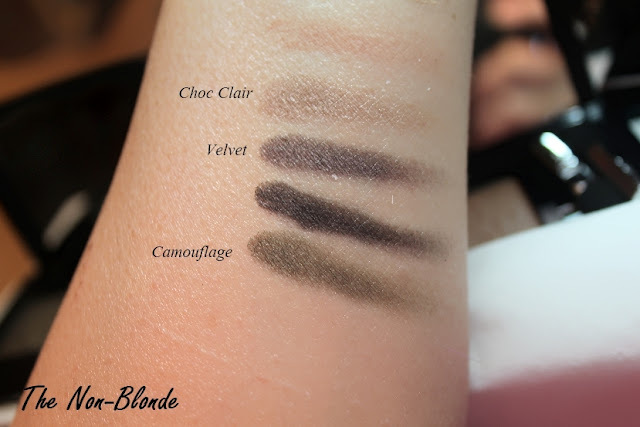 It's a bit too warm to be considered a taupe; Choc Clair is somewhere between dirty sand and cafe-au-lait and can be warn alone as an elegant wash or integrated into a sophisticated look with other Diorshow neutrals as well as with teal or navy. Dior labeled Diorshow Mono as a wet-dry formula, but I highly recommend going the damp brush route if you want to get the full potential of these eye shadows (all the swatches above were made this way). The shimmery colors are still nicely pigmented when dry, but they're just not as good when applied that way. I have no problem blending, layering or packing them on. Bottom Line: I'll buy more colors if/when available. Dior Diorshow Mono Eye Shadows ($29 each) are available now from nordstrom.com. Oooo these look good! 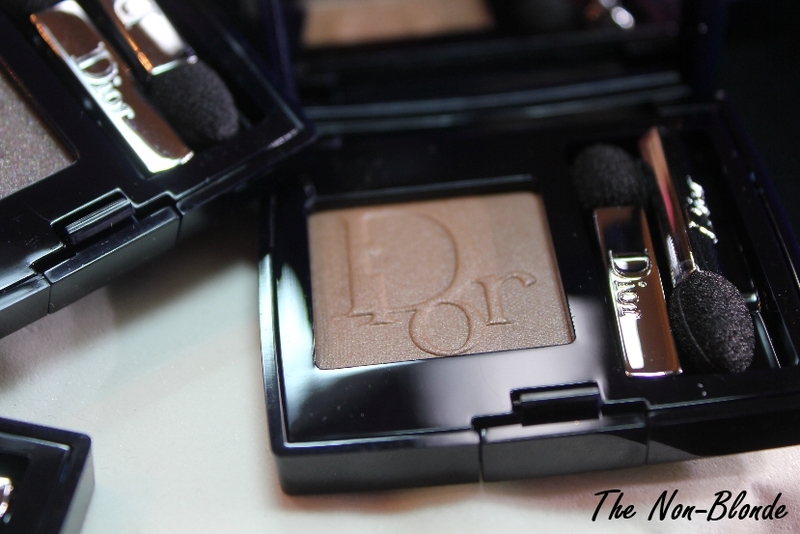 I must take a look at Dior . I do love to buy just the one colour as many sets have colours I would Never use!